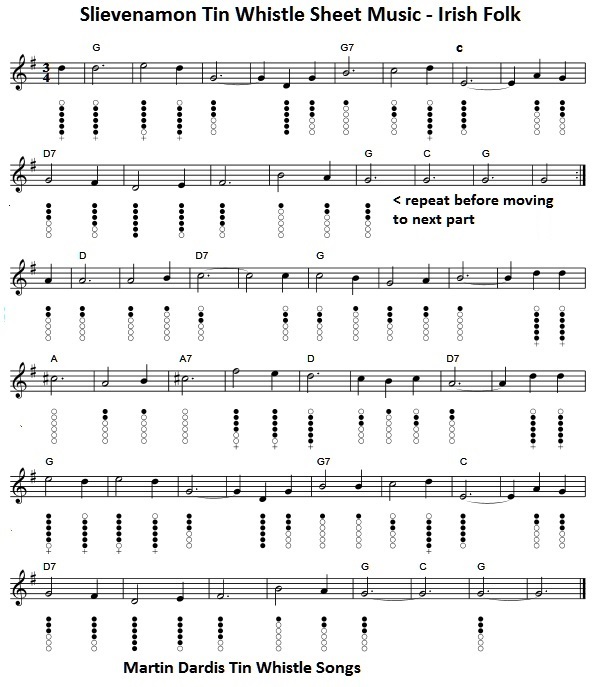 Slievenamon Tin Whistle And Sheet Music Notes, recorded by The Wolfe Tones, written by Charles J.Kickham from Thurles County Tipperary. Slievenamon is a mountain in Tipperary. Slievenamon lyrics and chords The first piece is in the key of G Major and is the one most suited to the whistle. I used a D whistle when working this one out and it worked fine. The music below is in the key of E Major and suited to the piano.